In Madagascar is the only known place on the planet where are found some of the most amazing gemstones – blue garnets, which change the color. In daylight, these stones could be pure blue, but in artificial light they have bright purple color. Garnets are some of the most popular gemstones. These stones are hard, with gorgeous and lovely natural crystals and diverse, bright colors. 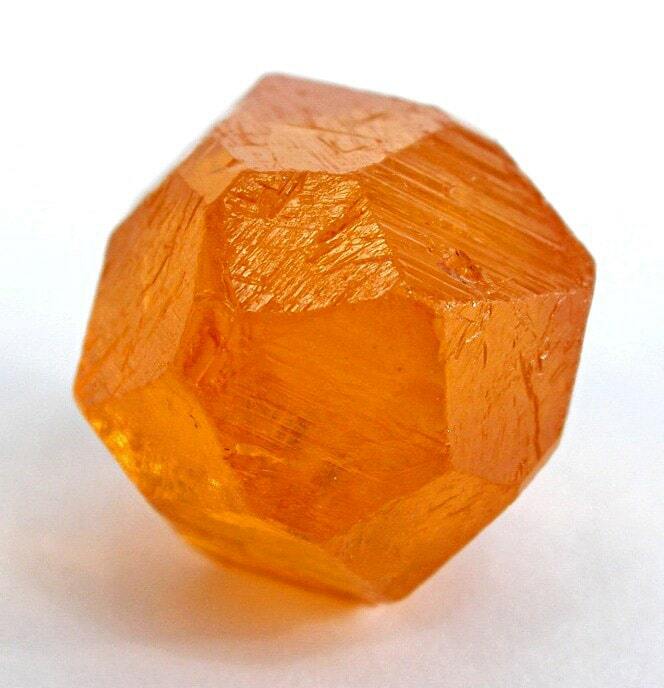 Group of garnet minerals includes some 25 – 30 minerals with a very similar chemical structure – just the kind of metallic elements changes in the chemical formula. Some garnets include magnesium and aluminum (pyrope), some – calcium and chromium (uvarovite) etc. Garnets come in all colors. Best known might be the deep red and purple pyropes and almandines, bright orange spessartine and light-green grossular, as well as emerald-colored demantoid (a type of andradite) and bright green uvarovite. Schorlomite is black, several types of garnets are rose-colored, brown and yellow. Very rare is also colorless garnet (leuco garnet), a rare kind of grossular which can be found in Canada, Mexico, Tanzania, and Burma. But on the jewelry market, there were not available blue garnets. Until 1997 – 1998. Around 1997 there started mining of beautiful garnets north from Bekily, a poor and remote area in the southern part of Madagascar. Searching (and finding!) valuable gemstones is nothing new in Madagascar – this island is very rich with top-class gems and here have been found quite unusual gemstones, such as grandidierite. In the alluvial (stream) deposits coming from the hard Precambrian gneisses were found beautiful stones with unusual properties – their color was changing depending on the lighting. Some were greenish yellow in the daylight but in incandescent light – intense pink. Soon were found even more unusual ones – in daylight these stones were almost pure blue but in incandescent light, they were intense purple. 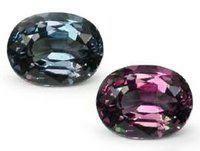 At first, prospectors thought that they discovered gem-quality alexandrite – very valuable color-changing gemstone. To their surprise, this was something even rarer – blue garnet. Such unusual daylight color amazed gemmologists – blue garnets were something new to them. This was not one or two occasional stones – specialists back then obtained some 160 samples of these unique stones (1.). Stones were obtained in the gemstone market in Bekily – the location of their find was not disclosed. Now there are rumors that the find has exhausted already in 1999 (2.) but the political and social unrest in the country could also be blamed at this. From time to time some color change garnets still come from these mines but clear blue ones are missing now and in the market can be seen the same stones from the late 1990ies which tend to become more and more expensive with each resale. These blue garnets are a mix between pyrope and spessartine, with small amounts of almandine and grossular contents. Their color-changing scheme is as follows: in normal daylight, they are blue (the rare best samples) or grayish-blue. In white light (e.g. from LED lamps) they are bright blue. In the usual artificial light, they become red – reddish-purple. Color change, most likely, is created by unusually high amounts of V2O3 (vanadium oxide) and some amount of chromium oxide. Most of the “blue” garnets from Bekily are not really blue but rather grey-bluish, also green-blue. But there are some clear blue specimens. Even rarer are well-formed crystals of blue garnets – prospectors are finding just a shambles of crystals. But at least two crystals of pure blue garnets exist (3.). These stone were small – the largest gem-quality blue garnet in 1999 was just 9.5 carats large. Cut stones are much smaller – 0.1 – 0.8 carats. 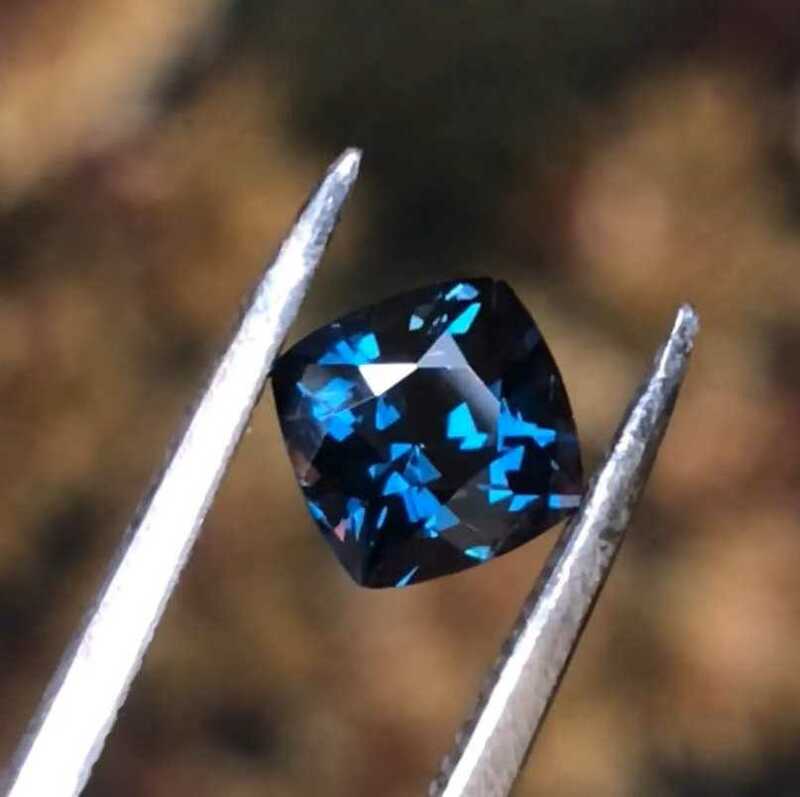 Larger blue garnets with color-change effect are very expensive, with a price exceeding USD 1,500 per carat. But for this high price garnets need to be large and pure blue without the gray or green color. 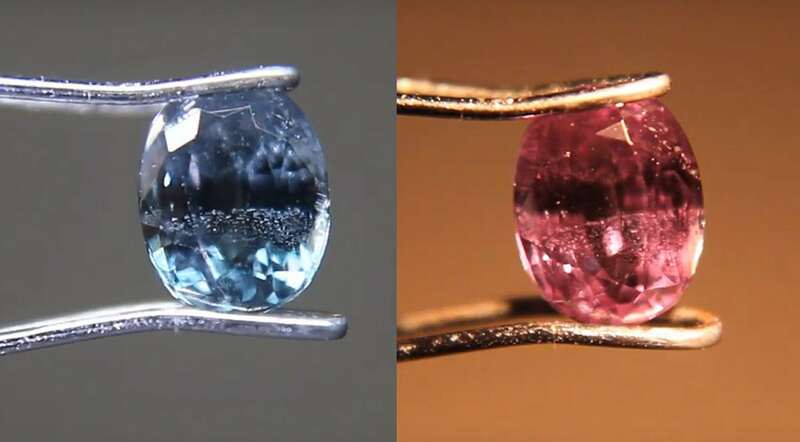 Nevertheless, the more common alexandrite with similar properties could be more expensive. Are Bekily blue garnets unique? Color-change garnets from Sri Lanka (finds in Embilipitiya and Athiliwewa) and Tanzania (finds in Umba and Tunduru) have been known since 1979. This always has been a rarity, with some occasional bluish-greenish garnets among them. Blue garnets, similar to Bekily blue garnets, have been reported in Kenya, Taita-Taveta County since 2009. Nevertheless, the unique stones from the vicinities of Bekily are the main commercially available blue garnets. 40 unique natural wonders of the world[/caption] This article is a kind of wonder by itself: after meticulous work of several years here has been collected a list of absolutely unique places, where nature has outdone itself and created something unique, just in one example. Karl Schmetzer and Heinz-Jürgen Bernhardt, Garnets from Madagascar With a Color Change of Blue-Green to Purple. Gems&Gemology, Winter 1999, page accessed in the 26th November 2018. Ambahatany. Mindat.org, page accessed in the 26th November 2018. Farbwechselnde und blaue Granate. Mineralienatlas – Fossilienatlas. Page accessed in the 26th November 2018. Images of blue garnet crystals! Address: Africa, Madagascar, Androy Region, near Bekily town. Exact location unknown, or there are several locations. Map shows one of garnet finds east from Bekily. 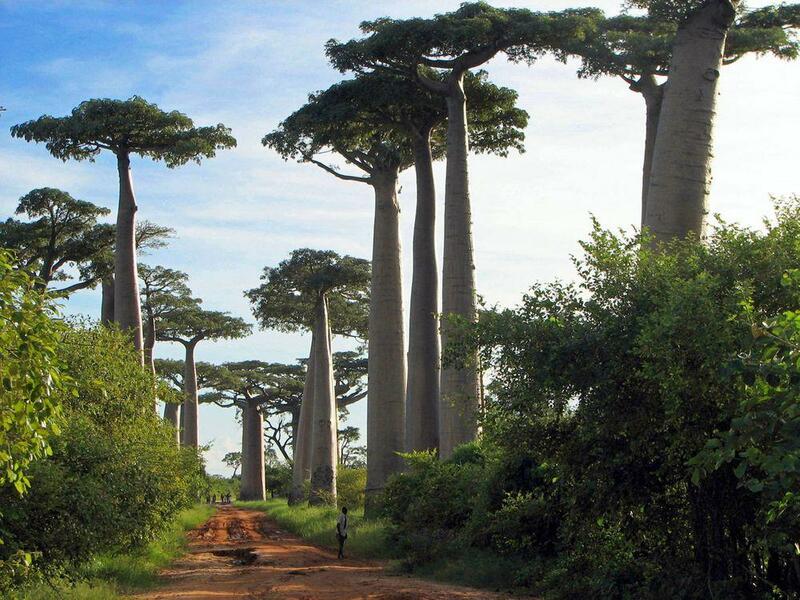 Madagascar is very rich with surprising natural landmarks – created both by geological processes and living nature. Highlights of Madagascar are karst features, unusual ecosystems, gorgeous and rare gemstones. Gemstone finds are locations where are found rare and beautiful stones which can be used for jewelry and have high market value. 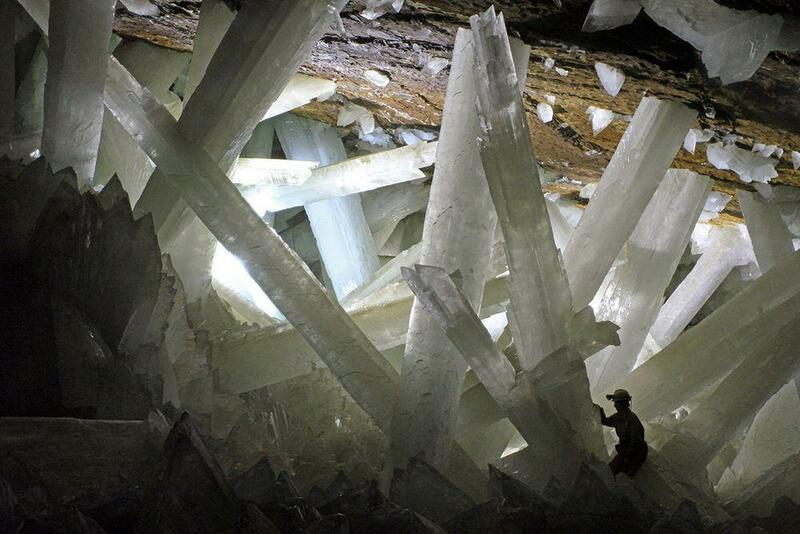 Many gemstone finds – such as jadeite mines in Guatemala or Sar i Sang lapis lazuli mines in Afghanistan – have been used for millennia and are legendary places. This is the first overview of Madagascan topological mineralogy in English. In this monograph, Dr.Federico Pezzotta, a Madagascar specialist and curator of the Natural History Museum of Milan, reports on the origins, distribution and production of the minerals and gemstones of Madagascar. He guides the reader through the island’s remote localities and sources some of the “world’s best” mineral species. Garnet, with its many color varieties, is a favorite of both mineral collectors and gemologists. Superb examples are found at many locales worldwide, in both igneous and metamorphic rocks. Other members of the group are prized by species collectors and micromount enthusiasts. Over 120 color photos of these beautiful minerals show each species in its geological context. This book also explains how garnets are formed and the unique conditions that create fine crystals and vivid colors.